Today’s client is a builder, building his new home. He is starting with the guest house which is due to be completed within the next two months. His Concept Consult objective is selecting tiles for the bathroom and kitchen splashback. Our client was very open to any design style. He has built other homes previously and styled them himself, however this time he wanted to try something new. He did however require a tile selection to compliment the timber flooring which is already laid in the space. For the bathroom we chose a concrete look tile for the floor and walls, with an accent wall adjacent to the entrance of mixed gloss hexagonals in white, black, light grey, and smoke grey. The hexagonal tiles will be the shower feature wall. Already installed in the build is a white vanity with a “Pure White” Caesarstone bench top and painted base in “White On White” Dulux paint colour. 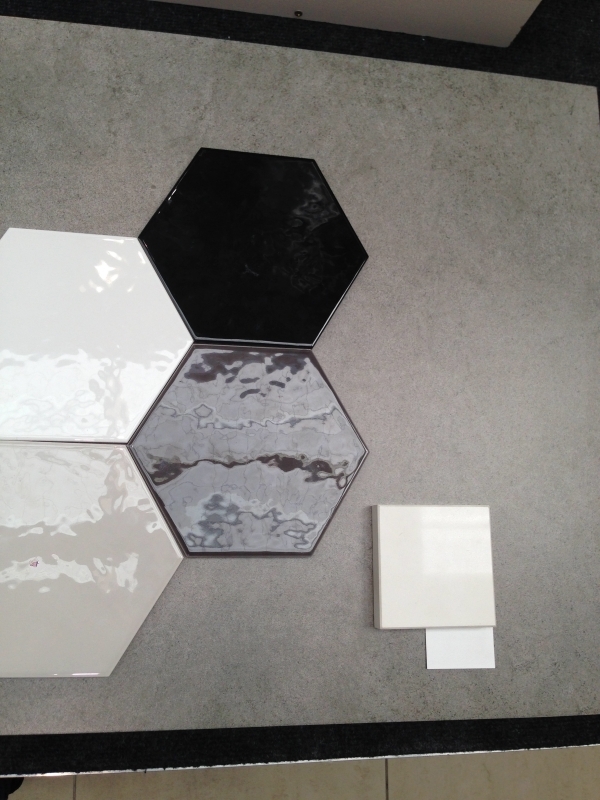 Above: Bathroom tile selection, multi coloured hexagonal gloss tiles to feature in the shower. 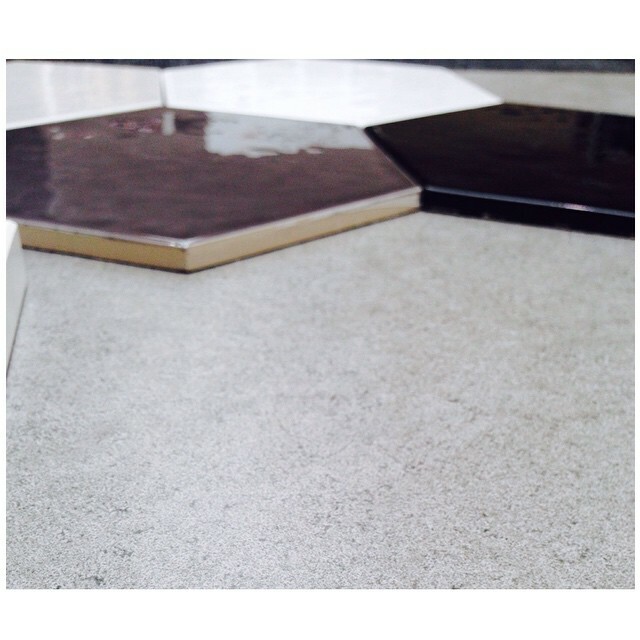 For the kitchen, keeping in mind the timber floors, we chose mix patterned square tiles. Because the kitchen and living space is open plan with fairly neutral colours, we thought this tile style would look awesome and really make a statement. The kitchen cabinetry and bench top will be consistent with the white bathroom vanity. 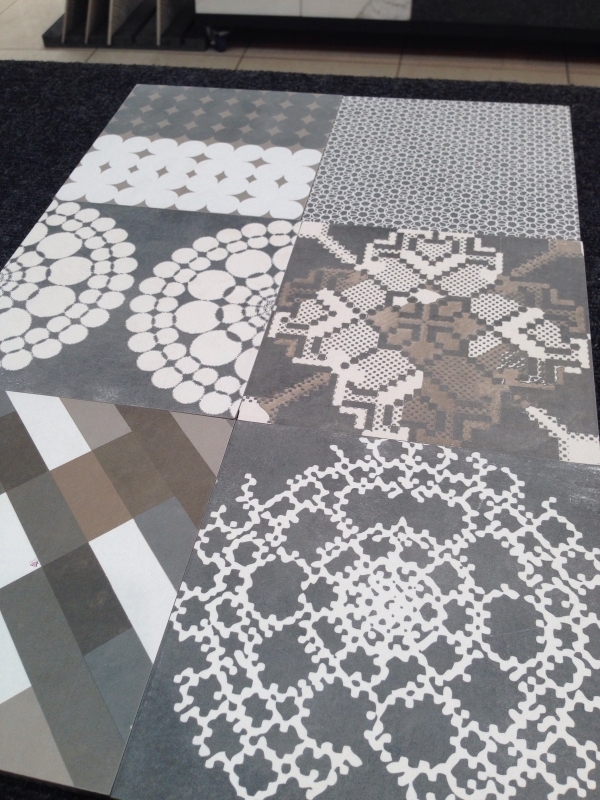 Above: Pattern tiles selected for kitchen splashback. Designed by Patricia Urquiola, see examples here. 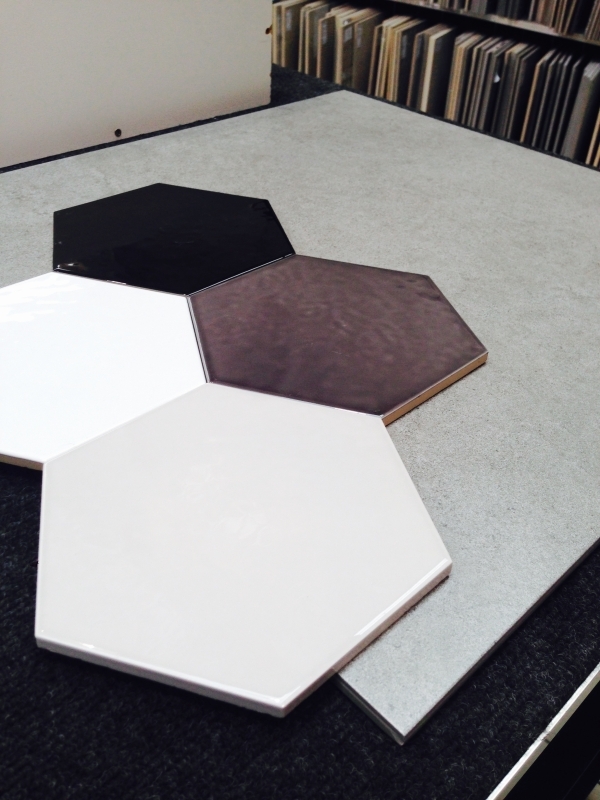 Need assistance with your tile, colour, stone and laminate selection? Enquire about a complimentary CONCEPT CONSULT today with our Design Team in the Geelong West showroom. Access to the best tiles available in Australia from around the globe, right here in Geelong.